> Maps for Cycling Lithuania, Latvia, Estonia>The Baltic States - by bicycle! Sorry, there are no paper versions left. Pls. Download the pdf for free! It is easier and much more flexibel to keep the information online up to date ... see www.balticcycle.eu ! 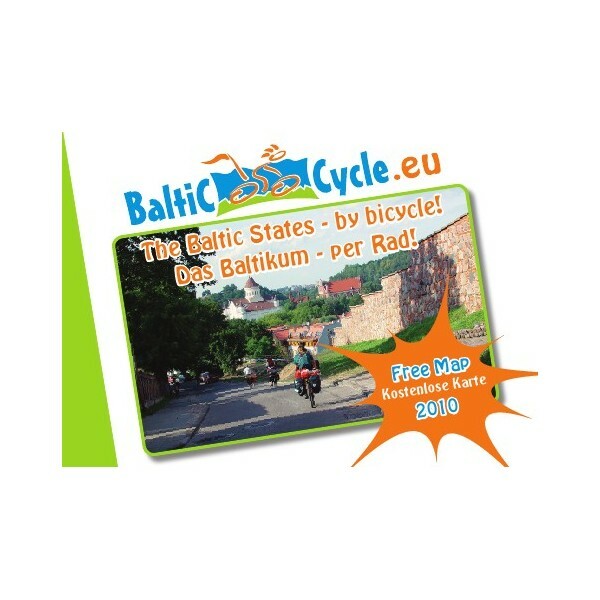 ... for the free overview map „The Baltic States – by bicycle! 2010“. The unbroken demand on cycling forced us to do so. How to get through the Baltic states? Which are the most attractive cycle regions? How may I get there? Which books and maps help me to pass it? Where may I rent a bicycle? * city tours by bicycle in Vilnius, Klaipeda, Tallinn and Riga!